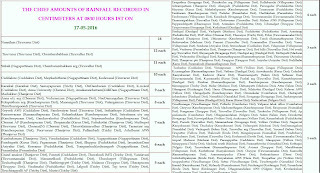 Update1 (All India Weather Inference of IMD- Evening). 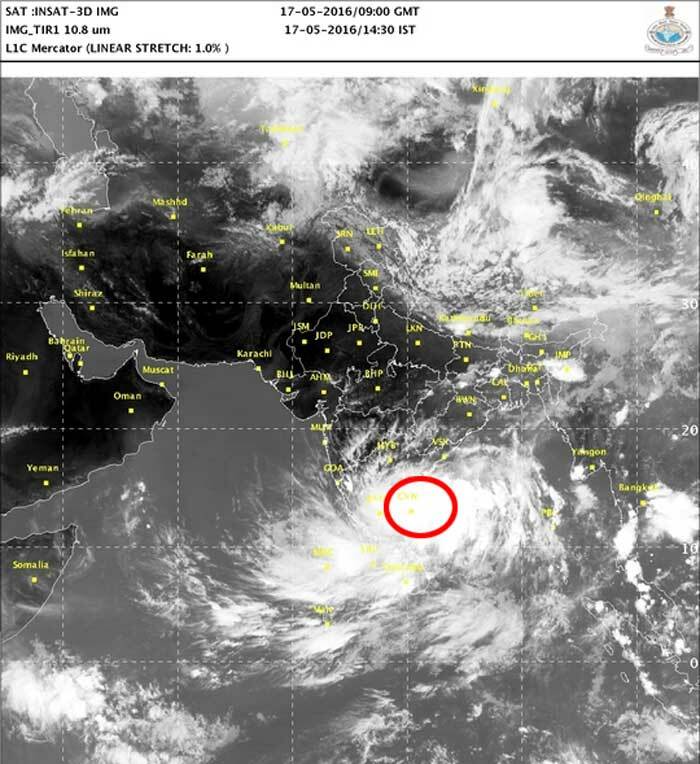 The system is likely to move NNW towards north Tamil Nadu­/south Andhra Pradesh coast and further intensify into a deep depression during next 24 hours. 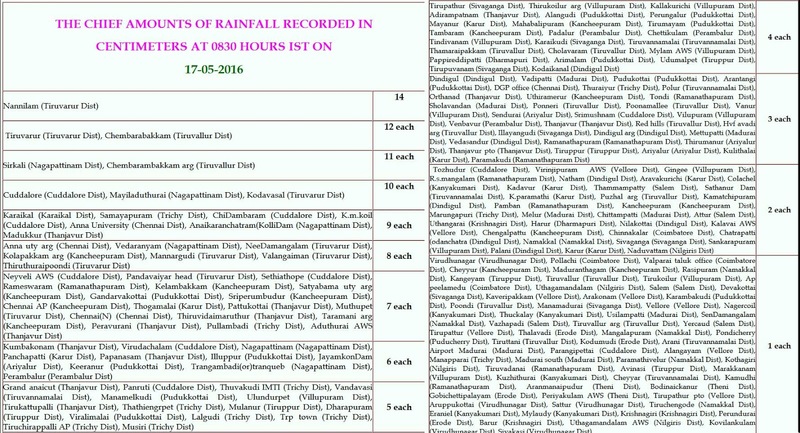 The system is likely to be close to Chennai during morning hours of 18May. It will move northwards and then recurve NNE and may intensify into a cyclonic storm during subsequent 24 hours.